The Milwaukee Bucks Wednesday came from behind in the fourth quarter to defeat the Bulls 95-91. The Bulls a trio of three point attempts in the last minute to tie and missed them all. The Bulls fell to 45-30 while the Bucks moved to 37-38. The Bulls had won five of six. The Bulls were led by Jimmy Butler with 25 points. Pau Gasol had 14 points and 11 rebounds. The Bucks got 21 points from Michael Carter-Williams and had a big rebounding advantage with a stunning 20-12 edge in offensive rebounds. If this was a first round playoff preview with the Bucks currently sixth in the Eastern Conference and the Bulls third, it promises to be competitive after the Bulls had previously dominated the Bucks with nine straight wins in Milwaukee. The Bulls took a 25-20 first quarter lead behind the physical play of Taj Gibson off the bench with back to back power post moves late in the quarter to hold off the Bucks, who were dominating on the offense boards with their taller guards and Giannis Antetokounmpo. The Bucks then moved into a 48-48 halftime tie as the Bulls were flummoxed trying to defend Michael Carter-Williams, who had 15 straight Bucks second quarter points, with Aaron Brooks. 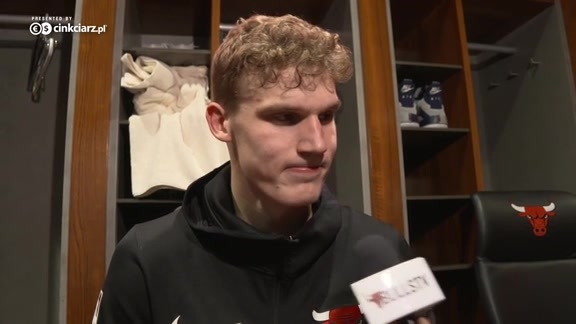 The Bulls suffered a setback with Kirk Hinrich sustaining an apparent knee injury late in the third quarter and leaving the game. The Bulls then turned around a 61-55 deficit behind Gibson and Nikola Mirotic to lead 74-70 after three. 1. Jimmy Butler kept the Bulls offense going by getting to the free throw line in what became a rugged and emotional game with the Bucks with three technical in the first three quarters. 2. The Bucks were dominating the Bulls on the boards, especially early, with their much taller perimeter player as well as Michael Carter-Williams posting up Aaron Brooks for 15 straight second quarter points. 3. It was surprising to see Taj Gibson for just eight first quarter minutes as he scored 10 points and was dominating the Bucks with his interior physical play.